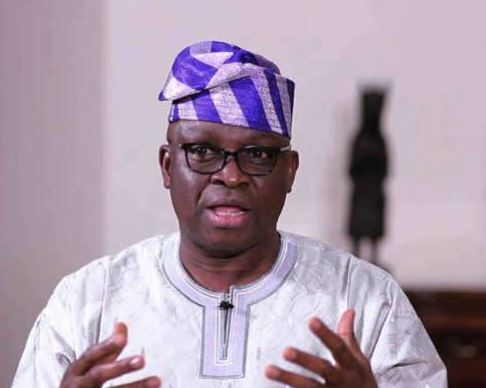 Fayose promotes 9,583 public servants in Ekiti state – Royal Times of Nigeria. The Ekiti State Government said that it had just promoted 9,583 out of all its public servants. 6,993 of them are teaching and non-teaching staff of various public secondary schools, while 2,590 are local government staff. The Chairman of the State Teaching Service Commission, Chief Abiodun Falayi breaking it down further, said that 3,963 teachers and 1,586 non-teaching staff were promoted. He said that all complaints lodged by affected workers were considered and rectified in the course of the exercise. He said that all issues relating to adjustment of inter-cadre transfer and conversion had also been settled. According him, the interview process was decentralized into six zones for administrative convenience and to ensure that it did not unduly interfere with academic activities in schools where they were conducted. He said that the promotion was conducted to motivate workers as well as engender efficiency and effectiveness within the public service.